Guess what this week is on MPK??!! Does the picture above give it away??!! Indeed, it’s Pomegranate Week 2012! 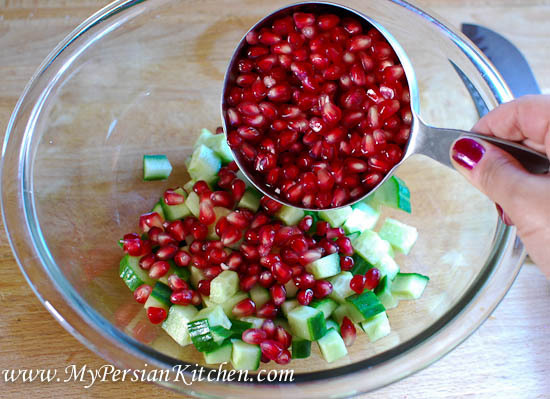 I can’t believe this is the fourth year that I am posting recipes for Pomegranate Week! The first recipe this year is a simple, yet deliciously refreshing salad. Sometimes four ingredients can make an amazing recipe! 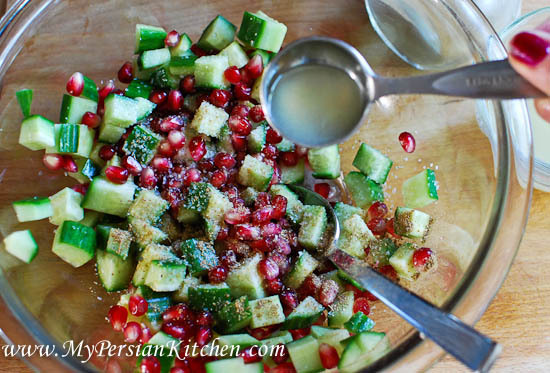 This Cucumber and Pomegranate Salad is simple to make and it sure is a winner! 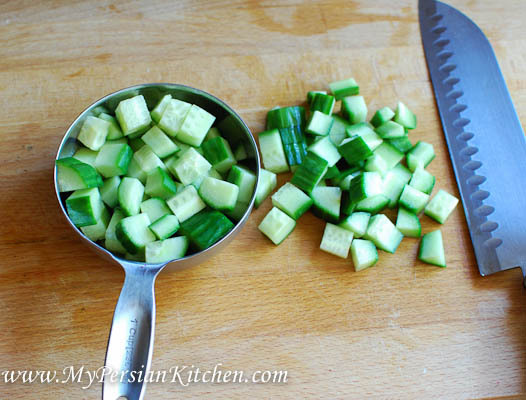 The trick here is to make sure that the cucumbers are diced fairly small. 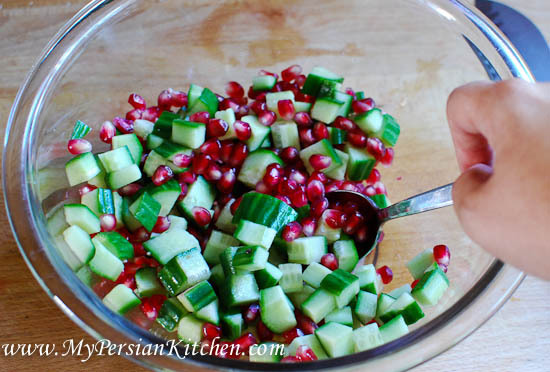 Place diced cucumbers in a bowl then add pomegranate seeds. With a spoon give it a gentle mix. Add salt, ground Angelica, and lemon juice then mix well. Serve chilled. Wow! This salad sounds sooo good and REFRESHING! 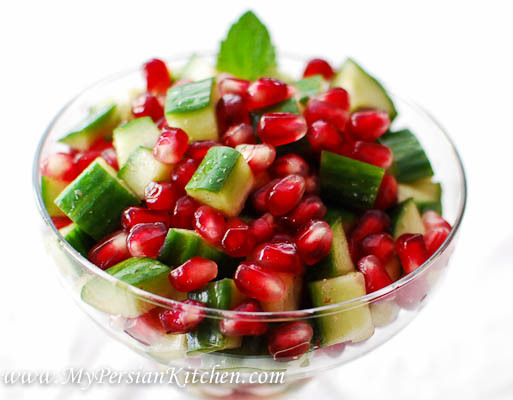 Since pomegranates are in season I’m going to try this tomorrow. I want to try and make this, but first I need to know what &where to buy ground Angelica? Nicole, you can purchase ground angelica from persian store or order them online.